Ethnographic research is useful in recognizing ethnographic resources. Ethnographic resources are defined by the National Park Service as “…a site, structure, object, landscape or natural resource assigned traditional legendary, religious, subsistence, or other significance in the cultural system of a group traditionally associated with it” (DO-28: Appendix A, 181). Through ethnographic research the meaning of these resources with respect to community members can be interpreted. With the aid of communities traditionally associated or connected with the resources within and surrounding parks, the importance of the preservation of these resources can be communicated to visitors and employees of the National Parks. Communication established between the community, visitors and park employees help to better ensure the management of ethnographic resources. 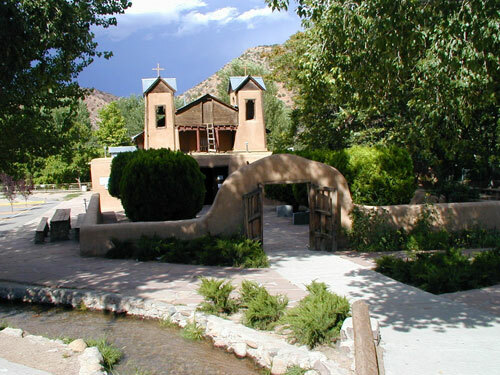 To learn more about the preservation of ethnographic resources, see El Santuario de Chimayo—Ethnographic Resource.